The plateau of West Sumatra is surrounded by the Bukit Barisan mountain chain. It has intact jungles with elephants, tigers, leopards and rhinos. Most of the visitors of the country are attracted by these magnificent natural places. Today we would like to present the most beautiful natural areas in West Sumatra that include mountains canyons and caves, majestic countryside, natural parks and reservation areas. 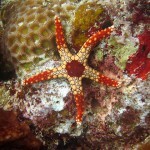 If you will visit West Sumatra, you will surely be enchanted by nature. The tea plantations on the Talang Mountain are located at 35 km from Padang. 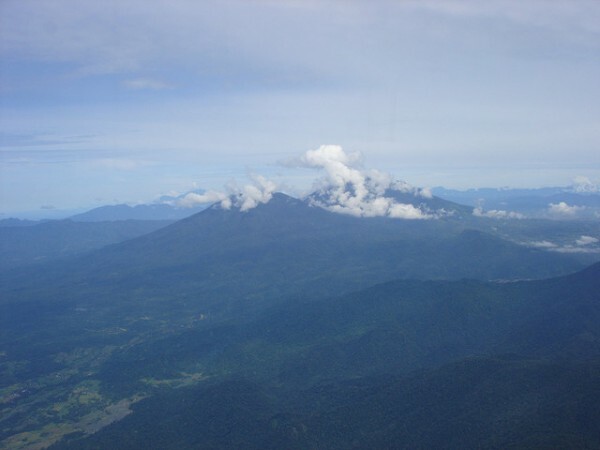 The Talang with a height of 2572 meters is one of the highest mountains in the area. You have a magnificent view of the twin lakes and of the Singkarak Lake. 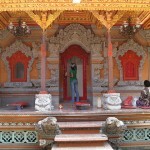 The Ngalau Indah Cave lies deep in the hillside and can be reached during a trip from Bukittinggi to Payakumbuh. It is the home of thousands of bats; the entrance reminds us of an elephant’s head. The routes of the cave lead to the mountain top where we have a wide panoramic view of the beautiful natural areas of West Sumatra. Tabea Patah is located at 30 km from Batusangkar. From the lookout at the feet of the mountains you have a beautiful view of the majestic Minangkabau countryside. 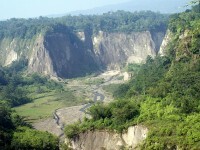 The Ngarai Sianok is a canyon at 4 km from Bukittinggi. It is a steep, colorful canyon, between 100 meters high cliffs. The Japanese made several caves and tunnels during the Second World War. A path leads to the Koto Gadang settlement that is famous for its embroideries and works of fine silver. Batang Palupuah lies at 12 km from Bukittinggi and it is the hiding place of the mighty Rafflesia arnoldii flower, which is blooming once a year in November. Brochures are available at the office of the Reserve. The Rimbo Panti Natural Reserve is located on the road to Medan, at 108 km from Bukittinggi. There are many types of monkeys and black panthers. The Bung Hatta Arboretum lies at 15 km from Padang and it is formerly known as the Setya Mulya Botanical Garden. 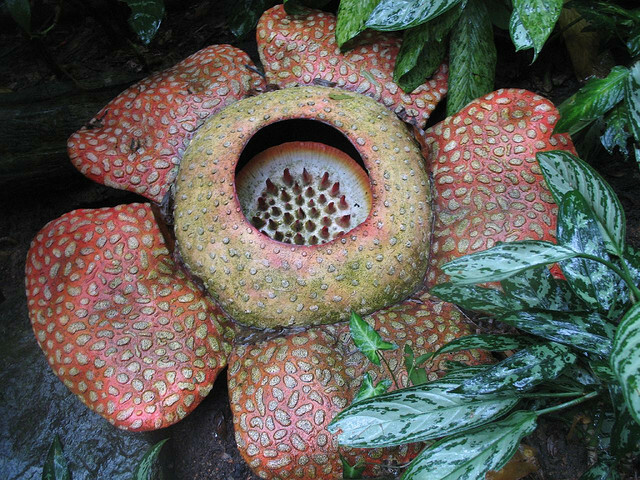 Here you can also see the Rafflesia arnoldii. 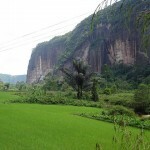 The Harau Valley is a beautiful natural area in West Sumatra and is located at 15 km to north-east from Payakumbuh. This 315-acre large, richly fertile valley is surrounded by 100 -200 meter high granite walls. It is a Nature and Wildlife Reserve, it is the home of wild goats and tigers. The Siberut National Park can be reached by scheduled ferry, which departs three times a week during the night from Padang (Muara Padang) and arrives to the Muara Siberut/Muara Sikabaluan/Muara Saibi port. The trip takes about ten hours. The express ferry departs on every Thursday morning from Padang to Tuapejat (Sipora Island), and then to the south of the island of Siberut, that is reached in only four hours.